Here is the list of those killed and detained in Iran, updated as information becomes available. The list is by no means comprehensive and does not include the great majority of people arrested at protests on the streets. The Campaign has the names of 19 people who have been killed by government forces. The list currently includes the names of 242 detainees, including 121 political personalities, 25 journalists, 9 professors, and 87 students. These are prominent personalities who have been detained at their homes or places of work by unidentified agents and taken to undisclosed locations. They are mostly held in incommunicado detention and have no access to legal council. On 10 July, Tehran’s prosecutor general, said that more than 2,500 people have been detained in Tehran alone, with 500 still in detention. The Campaign believes, based on reports received from within Iran, that many more could be under arrest throughout the country. The following is a list of prominent political personalities, journalists, and students that the Campaign has received. This list does not include citizens detained during street protests. On 1 July, Tehran’s police chief admitted at least 20 fatalities in Tehran but the true numbers are most probably much higher. 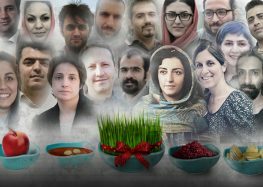 The Campaign has been able to identify only the names of a few persons killed in Tehran during recent protests because of the extreme restrictions imposed by the government. There are also reports of fatalities in other cities but the Campaign has not been able to collect any reliable information. 8. Davoud Sadri, 25, killed on 15 June in Mohammad Ali Jenah Street, in front of a Basij base in Tehran. 14. Ramin Qahremani, 30 year old who was tortured in prison and whose body was delivered to his family recently. According to the Norooz website, he was arrested in his home after agents identified him from a bank security camera. He was kept in prison and tortured for 10 days before being released. He told his mother that for several days he was suspended from his feet. He was taken to the hospital a few days before being released for internal bleeding in his chest. Ramin’s body was buried under the supervision of the police forces. 16. Mostafa Ghanian, graduate architecture student at Tehran University, was shot in his head while chanting “God is Great” on top of the roof of the 8 levels building in Saadatabad in Tehran by plain clothes officers on 16 June and died immediately. 18. Taraneh Mousavi, was arrested on 28 June near to the Masjed Ghoba, she was reported as disappeared for several weeks and finally her burned body was found around Ghazvin. It was reported that she was severely sexually abused while she was in detention. Her case was denied by the State while the reformist candidate, Karoubi, revealed the entire story. 19. Mohammad Kamrani, 18, was arrested in Tehran on 9 July 2009 and was transferred first to Kahrizak detention center and later to Evin prison. On 15 July 2009, his family was informed that he was in Evin and he was transferred to Loghman hospital under guard control. His family was able to get permission to transfer him to Mehr hospital but he died on 16 July in the hospital because of his severe injuries. 20. Abbas Disnad, teacher and shop owner in Karoun Street in Tehran, was beaten by batons to his head and suffered a stroke while on his way back home on 20 June 2009. He went into a coma for 3 days and died in Shahriar Hospital. 21. Ramin Ramezani, 20, serving compulsory military service, was shot during a demonstration in Tehran on June 15 and died in the hospital. 22. Behzad Mohajer, 47, was shot in the chest on 15 June 2009 in Tehran. After 47 days, his frozen body was returned to his family. 25. Hamid Madah Shourche, a member of Mousavi’s campaign in Mash’had, was arrested while he was protesting in Goharshad Mosque in Mash’had. He was tortured and died a few days after his release, in the first week of July, because of brain hemorrhaging. 26. Masoud Hashemzadeh, 27, was shot and killed on 20 June in Tehran and buried in Khoshkebijar in Rasht. 27. Pouya Maghsoud Baygi, medical student in Kermanshah, was arrested on 20 June by Intelligence forces in Kermanshah and was tortured to death in the prison. 28. Alireza Tavasoli, 12, died due baton beatings to his head in Beheshtzahra on 30 July, and buried in Arak. 1. Arman Estakhri, 18, beaten by batons to his head and went into a coma and died on 13 July 2009. 6. Iman Namazi, student of civil engineering at Tehran university, died during the attacks on Tehran University dormitories on 20 June. 13. Hossein Akbari, was arrested and later his family was asked to get his body from the Emam Khomeini Hospital. His death was recorded as the brain trauma and marks from baton hits were on his body at the time his family received his body. 20. Ali Fathalian, died in front of Lolagar Mosque in Tehran during a demonstration in Tehran. 42. Saeedeh Pouraqaee, died in custody after being arrested by plainclothes Basij officers while chanting “Allah-u-Akbar” on a rooftop. After 20 days, her body was identified by her mother in a cold storage facility in southern Tehran. She was beaten while in custody and acid was poured on her body. She was secretly buried by security forces in Section 302 of Behesht Zahra Cemetery. There are also several hundred injuries about which there is no available information. Some of the injuries could be life threatening. The Campaign has been informed that Ashkan Zahabian, a member of the Modern Faction of the Islamic Students Association of Ferdowsi University has been severely injured after attacks by members of Basiji Militia and is currently in a coma. Some of the journalists who were also political personalities are listed above under the political personalities. The list of detained journalists has also been independently verified by Reporters without Borders. 21) Masoud Bastani, journalist and husband of Mahsa Amrabadi who is pregnant and in incommunicado detention since 14 June. On 5 July when Bastani inquired from the authorities about the fate of his pregnant wife, he was also arrested.